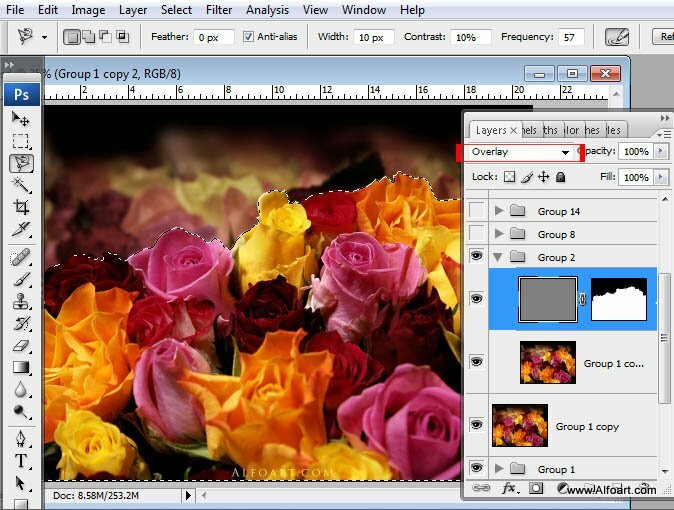 " Roses bouquet splash effect." 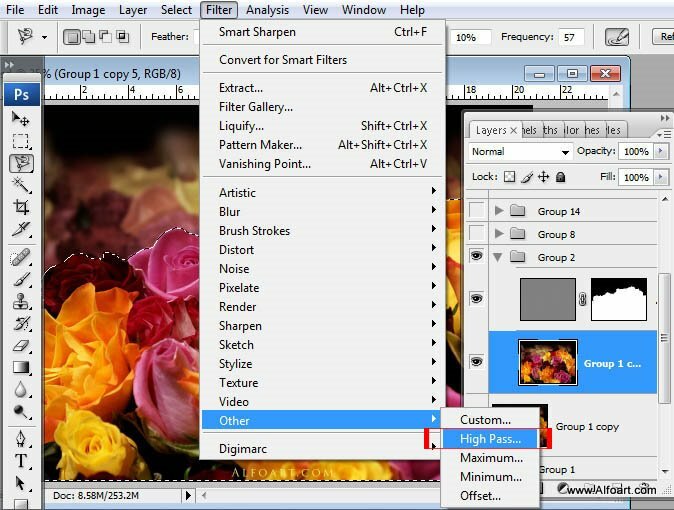 You may get .psd* file of "Roses bouquet splash effect" Photoshop tutorial by making a payment. Put the tutorial title in "Add special instructions to seller" line of PayPal and it will be sent to you shortly. 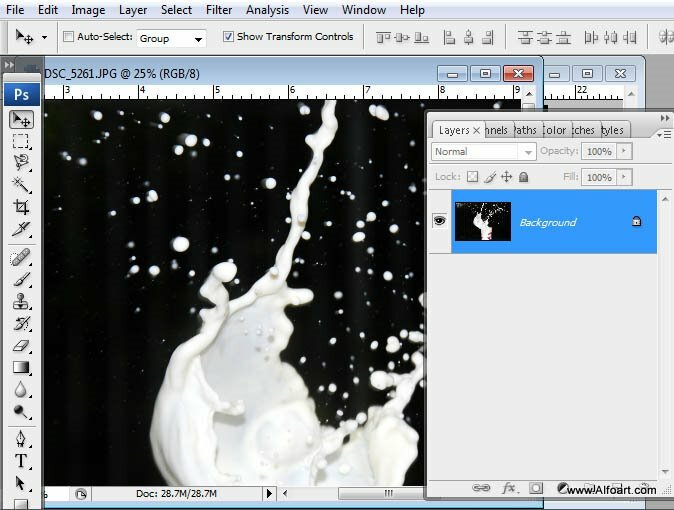 After this, in order to load selection for foreground flowers, go to Select > Inverse. 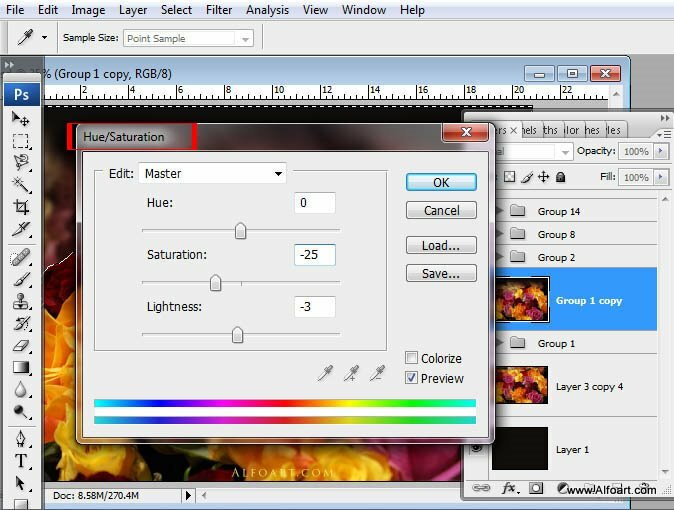 Keep selection active, duplicate flowers layer, make active duplicated layer. 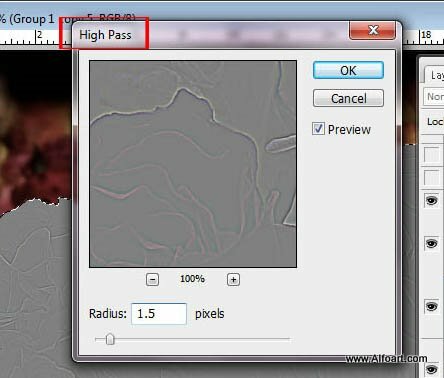 Go to Filter > Other > High Pass. 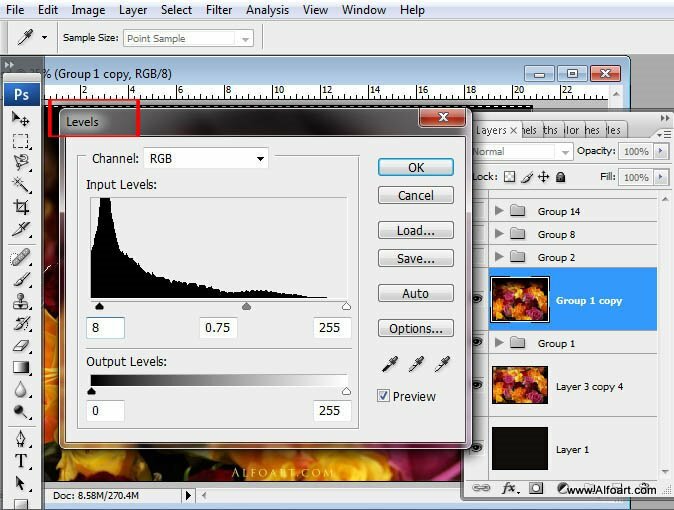 Apply Overlay Blending Mode and add Layer Mask to erase unselected background layer The foreground flowers should become sharper.